Sometimes, you find yourself in the right place at the right time. When I visited the Austin Book Arts Center a few weeks back, I did not know what wonderful opportunities would be presented to me. Some doors are worth opening! I had the good fortune of meeting Craig Jensen a fine master craftsman. Craig produces custom designed housings and fine limited edition bindings. He executes bindings for some of the best-known libraries and private presses in the world. It was an inspiring mid-day visit at Craig’s home and studio, BookLab II in San Marcos, Texas. On arrival, a friendly four-legged muse—whose mission is to greet people—welcomed us with a smile. Most studios have a muse, a force who is the source of positive feelings in our space. © 2017 Louise Levergneux, Craig Jensen's muse playing the "are they leaving so soon look"
Craig was generous with his time and shared his work stories and process in a natural open show and tell session. In front of his library filled with bindings and casing he has created, I was like a child in a candy store. What would you like to see? Craig asked. I thought any book will do, there was so much to choose from. Craig picked the first one, this book was the one Craig called the most technically difficult piece he had ever bound. Gaylord Schanilec's Lac des Pleurs, a study of the 22-mile length of the upper Mississippi River known as Lake Pepin, near Schanilec’s home in Stockholm, Wisconsin. On the many shelves of bindings a box covered in black Italian Canapetta lined with red rowlux caught my attention. Booklab II teamed up with Moving Parts Press to create the book DOC/UNDOC part of a grandiose collaboration between Guillermo Gómez-Peña and book artist Felicia Rice who created a work that stimulates all the senses. © 2017 Louise Levergneux, next, Craig displayed James Siena's book entitled Sequence One. After a couple of hours, we went out for a healthy meal and lots of conversation. Craig’s career began in 1977 when he was appointed Library Conservator for the Harold B. Lee Library at Brigham Young University in Provo, Utah. In, 1977-78 Craig interned at The Library of Congress Restoration Office under the keen direction of Peter Waters and Don Etherington to eventually become a bench conservator and bookbinder at The Library of Congress. In 1981, Don Etherington recruited Craig to serve as the Head of Book Conservation at the Harry Ransom Humanities Research Center Conservation Department at the University of Texas in Austin. 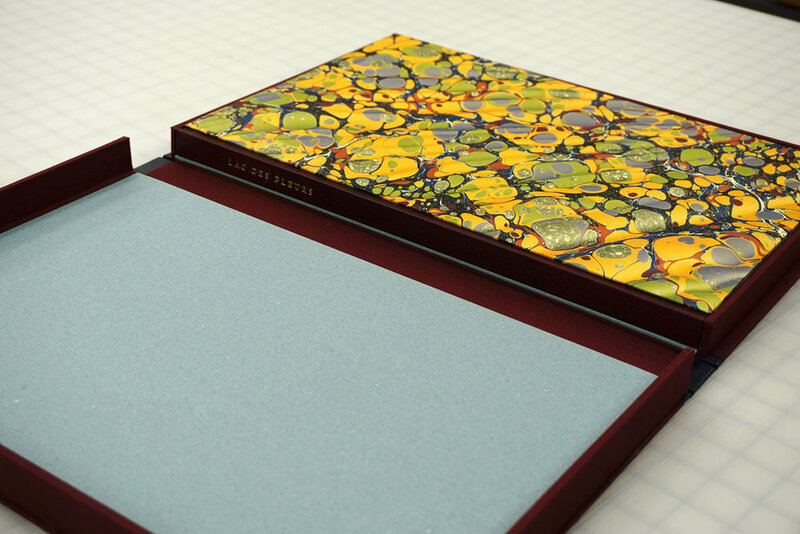 In 1984, Craig established the Jensen Bindery, for book conservation and box making, then focused on limited edition binding. 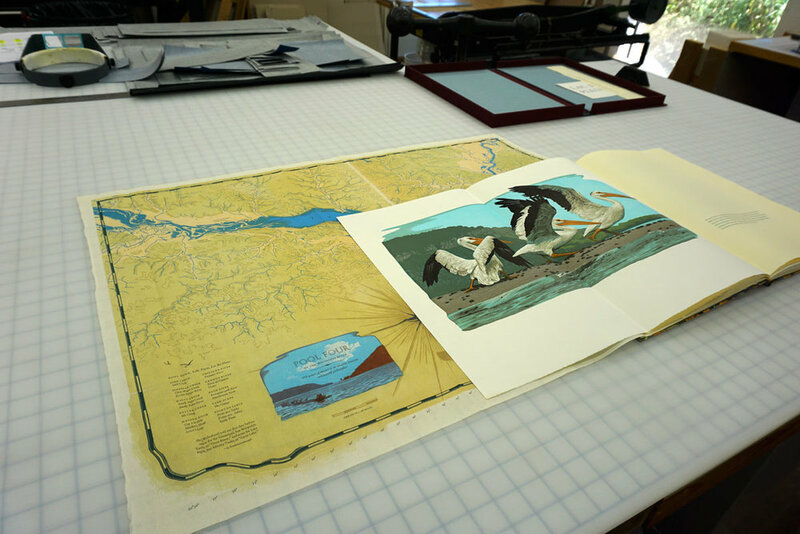 Craig worked for Acme Bookbinding as Vice President of Imaging for a number of years then returned to the concept of a small book bindery, reestablishing a workshop, BookLab II, in 2003. After spending some time exchanging ideas and opinions with Craig, you can understand why he received the Lifetime Achievement Award from The Guild of Book Workers in 2011. Here Craig is featured in the Oxford American: SoLost video series filmed by photographer and videographer Dave Anderson. Craig Jensen demonstrates rounding and backing, techniques used in hand bookbinding with Olivia Primanis at the Conservation Department book lab of the Ransom Center, University of Texas, in 2009. Guess who I met immediately afterwards—next week! Tu dois juste ouvrir ton esprit à la rencontre de nouvelles expériences ! It’s December and we dream of a white Christmas! My favourite memories of the holidays are of falling snow covering the world with a white soft carpet—as I thought. As you grow older, you realize that while snow creates the most stunning scenery, but it's difficult to live and drive in it. And it's bone-chilling! So this year, for the holidays, I brought my studio to the desert for warm weather. Even though it doesn't look like Christmas, I still enjoy listening to Christmas songs, yes, Christmas music. This one by Josh Groban is special, it’s filled with good recollections. If you prefer a more contemporary version of “The Little Drummer Boy” here's one from Pentatonix. I wrote my first blog post during the holidays of 2015. It has been my tradition to view a YouTube video of the Christmas Sound and Light show on Parliament Hill, to remind me of my home in Ottawa, Ontario. This year's video is by Avotra Rako with Snowman by Sia. Thank you for your support. Please accept this holiday greeting as a symbol of my appreciation for your continued reading. Taking pleasure in a stupendous sunset from our putt-putt (as we call our little trailer); I took a deep breath and reflected on the last year. 2017 was a rollercoaster ride filled with life-altering decisions which brought sorrow, changes, travel, fun, and smiles. May the next year be a period of beautiful transformation; may you find balance and glee in life! I wish you the Hope, Wonder, and Joy that the Season can bring! Opening one's self to different possibilities does help to open doors. After my visit with Mary Baughman from the Austin Book Arts Center, I received a few emails from interested parties. I responded to an email from Beck Whitehead, an advisory member of the Austin Book Arts Center to meet with her and Eleonore Lee, the Program Coordinator of the Southwest School of Art in San Antonio, Texas. On Monday the 27th of November, after an hour trip to San Antonio, I met with both Beck and Léo (as Eleonore likes to be called) at the Paper-making and Book Arts Lab. At the end of my visit, Léo invited me to come next year and work in the lab using my equipment. Space would be nice—an actual space or studio time! The Southwest School of Art is known for its visual arts education. It offers a Bachelor of Fine Arts degree, and studio art programs for adults, children, and teens. Graduates from the Southwest School of Art’s BFA degree program gain business, critical thinking, and studio skills necessary for careers as working artists and engaged citizens. © 2017 Louise Levergneux, Southwest School of Art, printmaking lab, one of us Canadians has been there before! Léo received her BFA from The School of Art Institute of Chicago and earned a MA and MFA degree in Printmaking from the University of Iowa. Her areas of specialization include printmaking, book arts (binding, typography, paper-making) and collaboration. Léo has exhibited, both nationally and internationally. Her work is included in numerous publications and permanent collections. Beck Whitehead received a BA from Trinity University and a MFA from the University of Texas at San Antonio. She retired after 30 years of teaching at the Southwest School of Art. In addition, Beck taught workshops in paper-making around the US and Canada. She creates paper paintings and one-of-a-kind books. Thank you, Beck and Léo for showing me around the labs. Another Texan welcome! We entered Texas on the 30th of October after some cold weather in Ohio, Kentucky, and Tennessee, arriving in Austin on Halloween night. We stayed with friends and schmooze-docked in their driveway while we oriented ourselves around Austin. 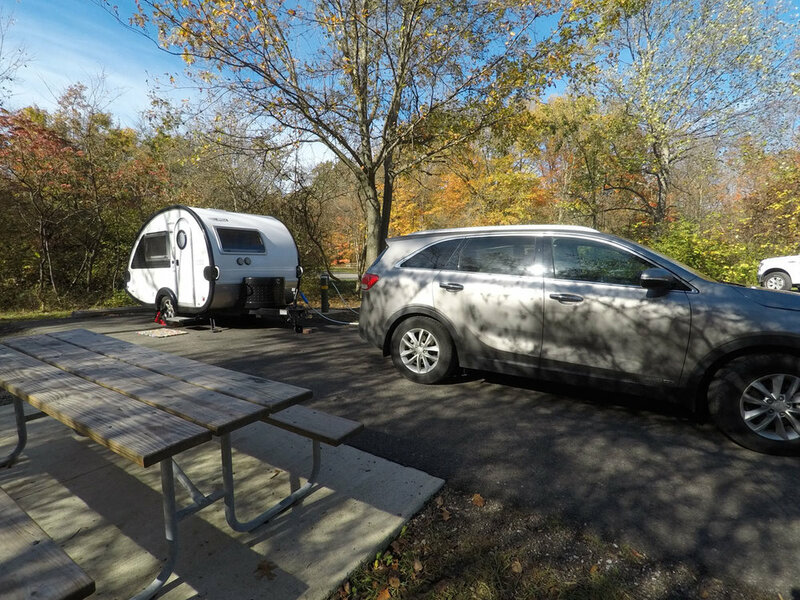 After ten days we found a place to park our trailer at the Rio Guadalupe Resort, this was central to the locations we wanted to explore. During the last month and a half while in the Canyon Lake region, I reconnoitered my visits to different collections and book arts organizations. I received the full Texas welcome. To become a full Texan one has to master the “Y'all” term—not an easy feat for a French Canadian. I started by searching online and found The Austin Book Arts Center. The East Austin Studio Tour weekend was taking place, which gave me the chance to meet members of the book arts community. My first contact with Mary Baughman, a member of the board of directors of the Austin Book Arts Center, was rewarding. At the end of my exploration of the Center, Mary emailed several people of my séjour in the region. Interest rose when the knowledge of a Canadian visitor was in their midst. 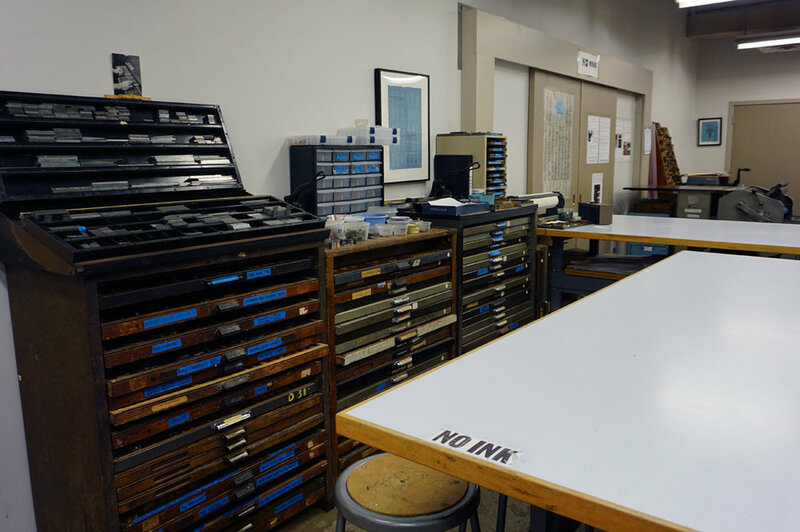 The Austin Book Arts Center offers workshops in book arts, letterpress printing, bookbinding, paper-making, typography, book history, and design. In addition, ABAC provides access to equipment for qualified users during scheduled Open Studio times. Through its activities, ABAC seeks to advance the book as a vital contemporary art form, preserve the traditional and robust crafts related to making books, promote the contemporary arts of making books, inspire diverse artists and learners, and engage the community in creative, interpretive, and educational experiences, including literacy for people of all ages. 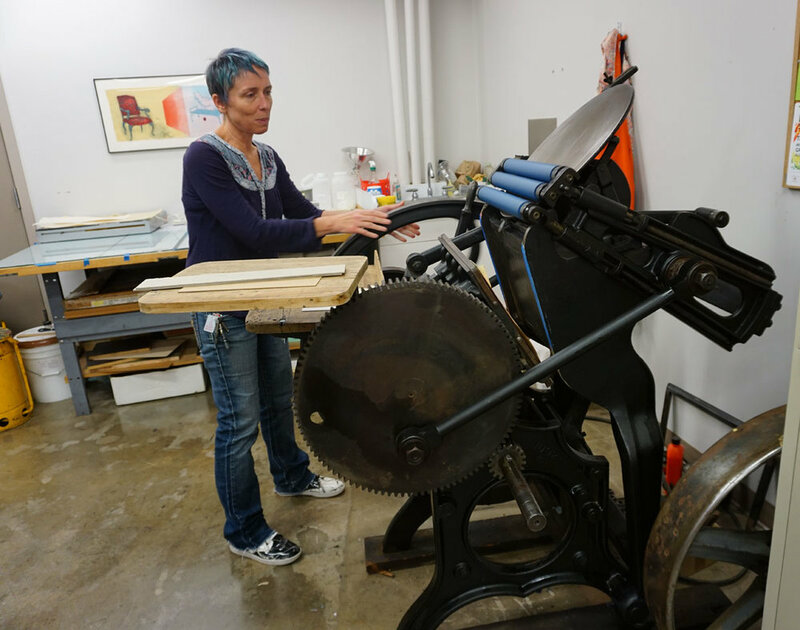 I took the time to look into the Flatbed Press and Gallery next door to the Austin Book Arts Center. © 2017 Louise Levergneux, Alfonso Huerta, Painter and Printmaker, was giving a demonstration of his printmaking abilities. I had a full month of meeting artists and library contacts, with more details coming in future posts. Fun and exciting days!! Well, it’s that time again. Technology changes and with time so does one’s needs. My Sony a33 DSLR camera was showing its years, it took a fall last winter while I was recording videos of my artists’ books Equinox which did not help. During the last months as I opened the flash, I could hear a terrible sound. How long would it last? Last May, before leaving Boise, Idaho, I purchased a GoPro Hero 5 Black to shoot videos, but I kept my Sony a33 till I reached my hometown. While in Ottawa, I stopped by Henry’s—the best camera shop—to trade-in my Sony and its lens. Henry’s can trade the gear you have for the gear you want! A dilemma presented itself—I would not have a DSLR for a few months till I could find and purchase my next camera at a reasonable price. Oh! well, that's life! Henry's will gladly buy back your second-hand equipment and give you a store credit to use towards a purchase. After showing the salesperson my Sony a33 and the 55mm-200mm lens, my trade-in value went towards the purchase of accessories for my GoPro and a new Vanguard camera bag. My Tamrac bag was still in good condition but heavy and cumbersome. I donated my old Tamrac camera bag to a Goodwill in Worthington, Ohio, hoping someone would enjoy it. I have been eyeing a Sony Alpha a6000 Mirrorless Digital Camera with 24.3 MP Exmor™ APS HD CMOS image sensor for the last two years. Once I reached Texas, I ordered one and had it shipped to a friend’s place in Austin. I shot many photos with my new Sony a6000 in the last month—the camera did not disappoint. Sony packed many features into this camera. Small (4.7 x 2.6 x 1.8 inches) (120 x 67 x 45 mm), compact, fast, versatile and very affordable—the a6000 is a great camera with a superb image quality. I still need to learn more about its features, but I’m having fun taking pictures as I visit Texas. My only displeasure is the tiltable 3″ LCD with 921K dots, it does not swivel like the LCD screen of the a33. This was a major plus for shooting large manhole covers. Another disappointment is finding out my Photoshop version doesn't support RAW images from my new Sony! #@$#^*&%, you know what I mean! No problem with the Sony A33. New equipment is always expensive for a studio but a must for creativity!! Oh! I didn’t mention the weight of this little pup. The Sony a6000 is 16.5 oz (468 g) including battery and lens. 2014 DP Review, for balance I got this lens! NOT!! Can you imagine! Have you purchased new tools or equipment lately? Which One? While walking around the Ohio State University campus, the Chiller Plant building enticed me to get closer, due to its beautiful kaleidoscope of colours showcased during the day. What is a Chiller Plant building you ask? The Ohio State University's South Campus Central Chiller Plant completed by Ross Barney Architects in 2013, is a long-term, active and sustainable solution for chilled water production and distribution. The building designed to provide an efficient system of air conditioning for the new Medical Center tower and all associated buildings on the campus. 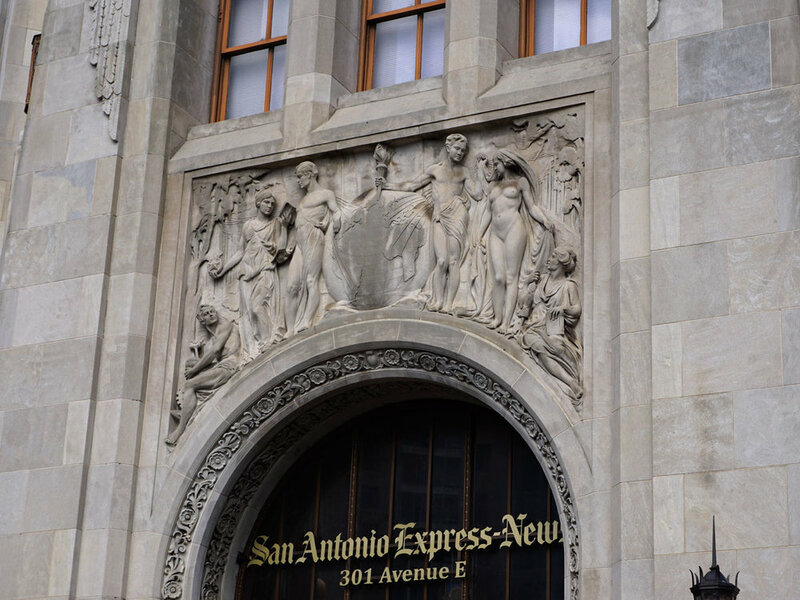 At a mere $72.5 M, the 95,737-square-foot, ten-story, galvanized structural steel and concrete paneled building serves as an iconic anchor at an important pathway to the main campus. The result is a dynamic and striking piece of infrastructure that changes as the 177 dichroic fins and eight glass boxes cast shadows of varying sizes, colour and intensity, providing an ever-shifting, non-static facade. In another part of the campus, I found myself fascinated by large numbers. These painted and cut numbers are made of stoneware, concrete, bronze, steel, and granite. After taking a few photos and researching the why of this installation, I found the Garden of Constants by Barbara Grygutis completed in 1993. Jim Jenkins, what do you think? The numbers depicted are absolute numbers chosen because of their special meaning to the scientific community. They represent mathematics and engineering programs at Ohio State. The public sculpture was commissioned by the Ohio State University Percent for the Arts. Subcontracted and fabricated by Barbara Grygutis, the Ohio Precast and Mt Vernon Machine & Tool, Inc.
One can find fifty individual formulas cast in bronze and embedded in handmade pavers. The formulas highlight the activities performed in the four buildings surrounding the courtyard, emphasizing the theme of constant numbers. With a new perspective, I'm enjoying visiting old and novel places along the way as my studio travels this year. Our roaming led us towards Ohio. Memories of living in Kent rushed through my mind. I welcomed a visit to the Ohio State University’s Thompson Library. Back in 2005-2006, my contact, Susan Wyngard acquired many of my artists’ books for the Fine Arts Library. Since then the Thompson library has gone through many changes, from staff succession to architecture re-design. I communicated with Jolie Braun the new contact person in Special Collection. Jolie was delighted to meet and talk about my books published since 2007. William Oxley Thompson Memorial Library is the main library on the Ohio State University Columbus campus and the largest library of the Ohio State University Library System. The Thompson Library was renovated four times since its construction in 1913; the most recent renovation completed in 2009. The 306,000 square-foot renovated building contains the library’s 1.25 million volume collection. With this new re-design, the library went from dark to light and airy. The 30 feet tall ceiling of the grand reference hall from 1913 was restored and is symbolic of the entire re-design. This is a shorter video on the hundred-million dollar facelift that made the William Oxley Thompson Library the jewel of the campus. What caught my eye was the Foundation Stones set in the terrazzo of the library's ground and first floors. 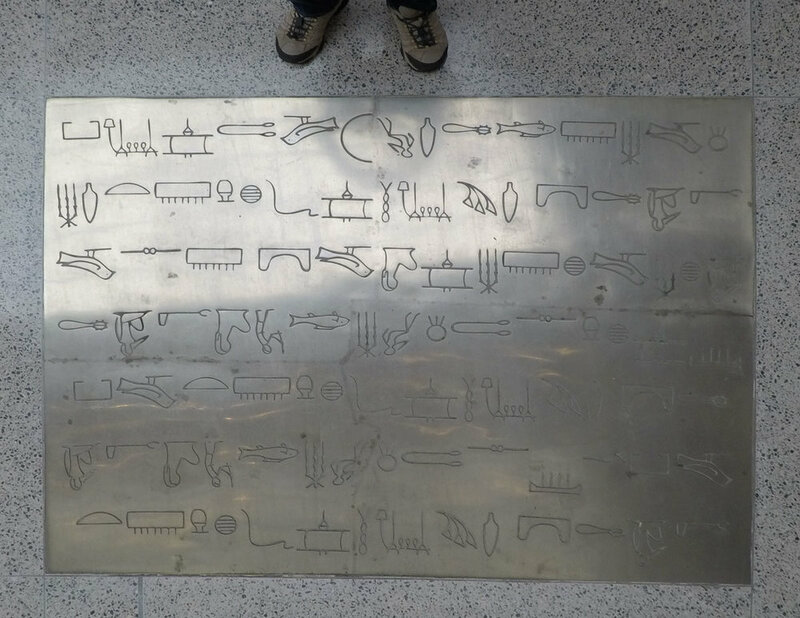 One can see forty-nine metal plates documenting forms of written communication from around the globe. Forty-five additional etchings were designed on the doors of the Stacks Tower elevators. Read all about the foundation stones in this brochure. It was great walking around this feat of architecture. During my visit, students filled the first and ground floors, meeting, talking, reading... The jewel is a success! 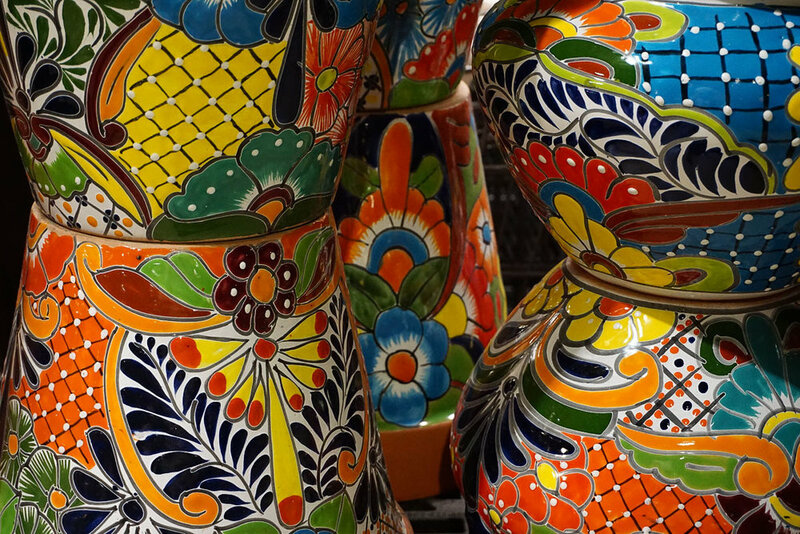 Going back to my visit—what about sales you say! Jolie was interested but I’m still waiting on THE EMAIL from the library!! I finally crossed the border back into the US on October 17th. I was hoping to be down south before it froze. It was getting colder every day, and the rain never seemed to stop. On October 18th, in Rochester, New York, the sun was shining and it was a gorgeous day. According to the locals, the temperature was out of season. One of my goals in traveling is to meet with new collection contacts or renew old ones. I love to visit artist's studios, it's fantastic but I also need to distribute my own artists’ books. This is my usual six month of administration duties. On the road, I emailed contacts of different libraries for a possible visit. I received a quick response from the Rush Rhees Library at the University of Rochester. I met with Stephanie Frontz, Head of the Art & Music Library and Art Librarian. The Art and Music Library is home to various collections including over 300 artists’ books. On short notice and to my surprise, Stephanie agreed to meet with me outside on Wilson Blvd for an artist’s book tailgate event! "With this kind of weather everyone wants to be outside, it will not last long,"—Stephanie replied. Through our conversation, Stephanie showed me her sense of humour by presenting me with a “League of Librarians” trading card-style business card for the University of Rochester reference and liaison librarians. This project helps students resolve concerns regarding choosing and finding materials. What a fantastic idea! Gamification is the way of the future! © 2017 Louise Levergneux, I now possess this trading card. Will it grow in value as the years go by? HaHa! Do you have one? Which one? After an interesting show and tell, the Art and Music Library acquired five of my artists’ books. Thank you Stephanie!